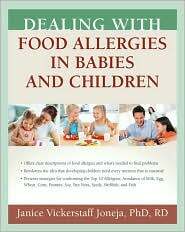 Food allergies are a common problem in kids. Nearly two million children have food allergies in the United States. Some food allergies are life threatening, even if the food is taken in very little quantity. Peanut tops the list of notorious foods which cause allergies. Following it are milk, especially cow’s milk, soy, eggs, wheat, seafood and other nuts. Food allergies are caused when the immune system is confused. The job of the immune system is to protect the body from diseases, bacteria, viruses and germs. The antibodies produced by the immune system helps to fight these minute external organisms which makes the person sick. But if the body is allergic to certain food, the immune system mistakes the food to a harmful foreign substance and takes action towards it thinking that it is dangerous to the body. The body acts adversely, when it isn’t supposed to do so. When the immune system detects allergic substance, the antibodies produce mast cells. They are a kind of immune system cell which release a chemicals, such as histamine, in the bloodstream. These chemicals affect the respiratory system, digestive system, nose, eyes, throat, and skin. Initial symptoms are runny nose, tingling sensation in the lips or tongue, and itchy skin rash like hives. The reaction can be mild to severe and depends on every individual. The symptoms can appear right after the food is consumed or after few hours. Other symptoms are cough, wheezing, nausea, hoarse voice, vomiting, diarrhea, stomach ache, and throat tightness. A sudden and harsh allergic reaction is known as anaphylaxis. The patient encounters many problems, all at once which involve blood vessels, the heart, digestion, breathing, and skin. The blood pressure drops very steeply, the tongue swells and there is swelling in the breathing tubes. Patients who have such allergic reactions should be ready to handle emergencies. They should always carry some type of medicine which will help to combat or reduce the adverse affect of the food. Most of the times, it is very easy to detect the cause of food allergy. Problems such as hives begin to surface as soon as the child eats the substance he is allergic to. At other times, it becomes very difficult to determine the cause of allergy. In such cases, everything should be observed under close surveillance. Food items which are made out of many ingredients should be thoroughly checked for the allergic cause. Most of the times, allergies are inherited from other family members or other kids born with food allergies. Changes in the surroundings and the body play a major role in these kinds of cases. Some of the kids aren’t actually allergic to the food and show only mild reaction. Like people who are lactose intolerant suffer from diarrhea and belly pain after consuming milk and diary products. This is not an indication that the child is allergic to milk. This reaction happens because their body is incapable of breaking down the sugars which are found in diary products and milk. If the conditions are severe, a doctor should be consulted immediately. If food allergy is diagnosed, the doctor refers to an allergy specialist. The doctor asks questions like eating patterns, past allergic reactions and the time period between the consumption of food and the surfacing of the symptoms. The specialist can also ask about allergy related conditions like asthma or eczema and whether allergic reactions are hereditary. Usually skin test and blood test is done to test the antibodies and the reaction they have on the skin when it is exposed to the allergic substance. Kids who are allergic to egg and milk outgrow them as the age progresses. But allergies which are severe and are related to items such as peanut, shrimps, and some kind of fish, last for a lifetime. Other than food, children can be allergic to certain medicines and flower pollen. The best way to avoid allergies is to avoid the cause of it. No specific medicine has been developed for the cure of allergies.